It’s late summer and to celebrate it here’s the last of my seasons recipes. This brings me back to the days I was studying in India. We always dined at my teacher’s house and ate heavenly. Here’s one recipe from Nani, the grandmother. She shared her recipes gladly and we were eager to learn. Here’s one of them. It’s the good old coconut chutney. Obviously you can have it as a condiment for your meal but in India we often had it as a main with chapatis, freshly made and dripping with home made ghee. Here in London I like to use buckwheat flour to make the flatbread. 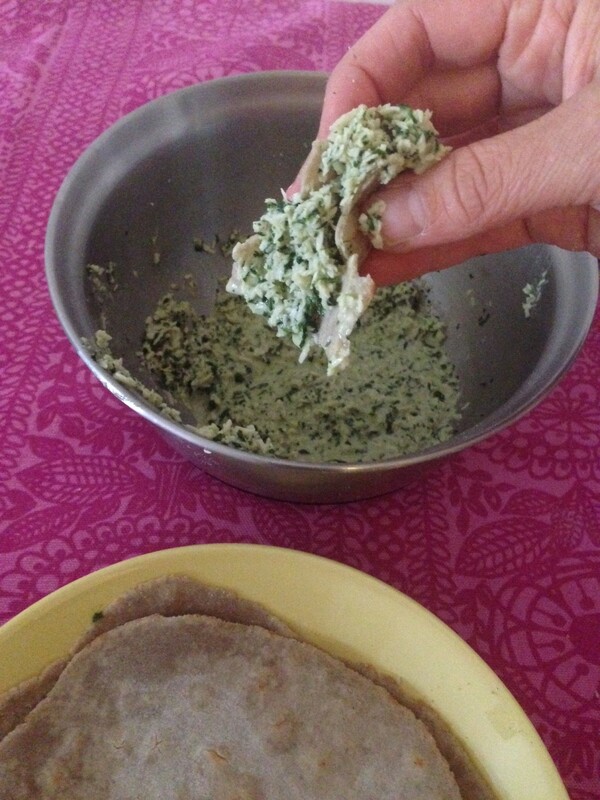 You can find the recipe in my previous blog post of “Buckwheat flatbread with spinach and ricotta filling”. Ideally you would use a fresh coconut but I just use the dry grated one and soak it in coconut milk (or cream if I want to be decadent). Mix all ingredients together and let soak for a few hours before enjoying. As for quantities of ingredients, all I can say, play it by ear or by your palate. Come and buy come ingredients from our shop like the organic coconut flakes and milk. We also now stock 100% raw coconut milky Rhythm.